Eddie Hazel was the guitar player for Parliamant-Funkadelic putting down some seriously funky grooves and psychedelic guitar. Have a listen to “Maggot Brain”, recorded in one take in 1971. Legend has it that George Clinton told Eddie Hazel to imagine he had been told his mother was dead, but then learned that it was not true. Enjoy the ride. 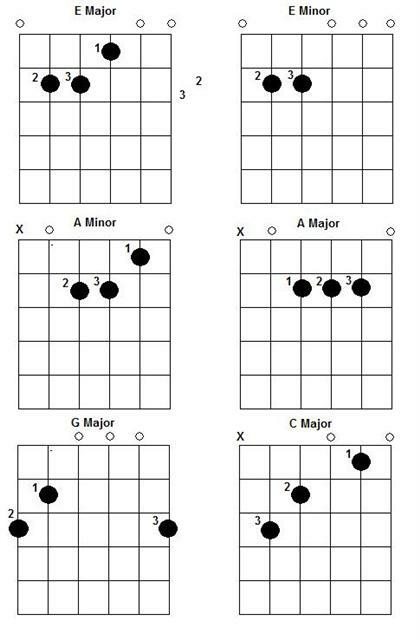 These are some of the most commonly used beginners chords. 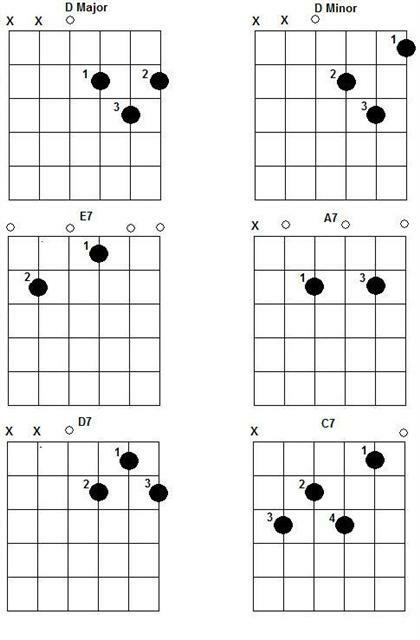 You will often see these chords on sheet music and guitar tabs. The chords are the same on acoustic and electric guitar. The fingerings I have put on them are the ones I normally use and teach but feel free to use your own if you prefer.